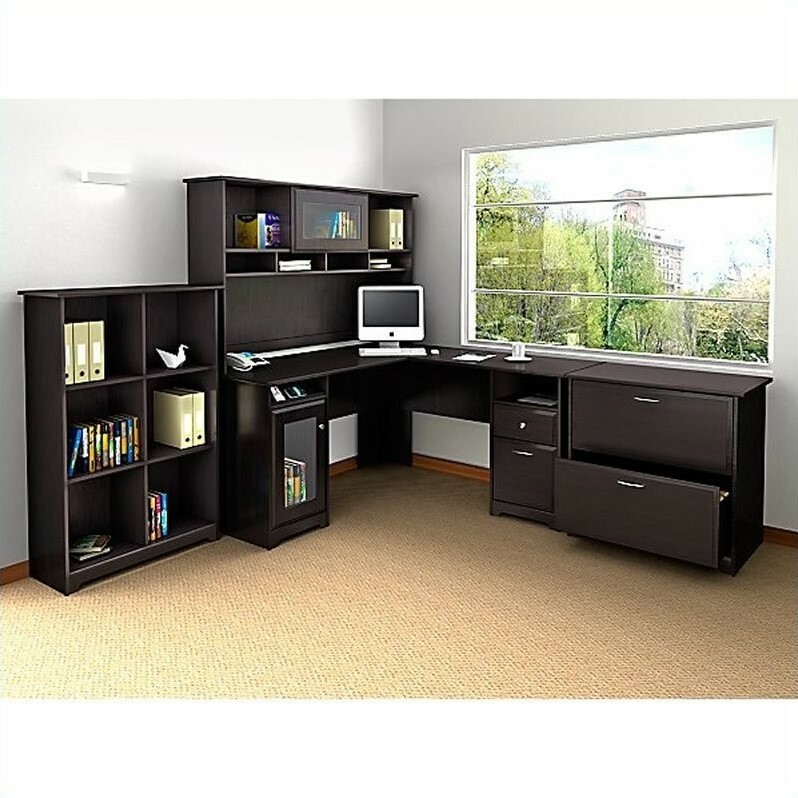 Bush Furniture Cabot 6 Cube Organizer in Espresso Oak - in stock! Bush Furniture Cabot Lateral File Cabinet in Espresso Oak - in stock! Coaster Office Chairs Contemporary Mesh Office Task Chair - in stock! Bush Furniture Cabot 5 Shelf Bookcase in Espresso Oak - in stock! 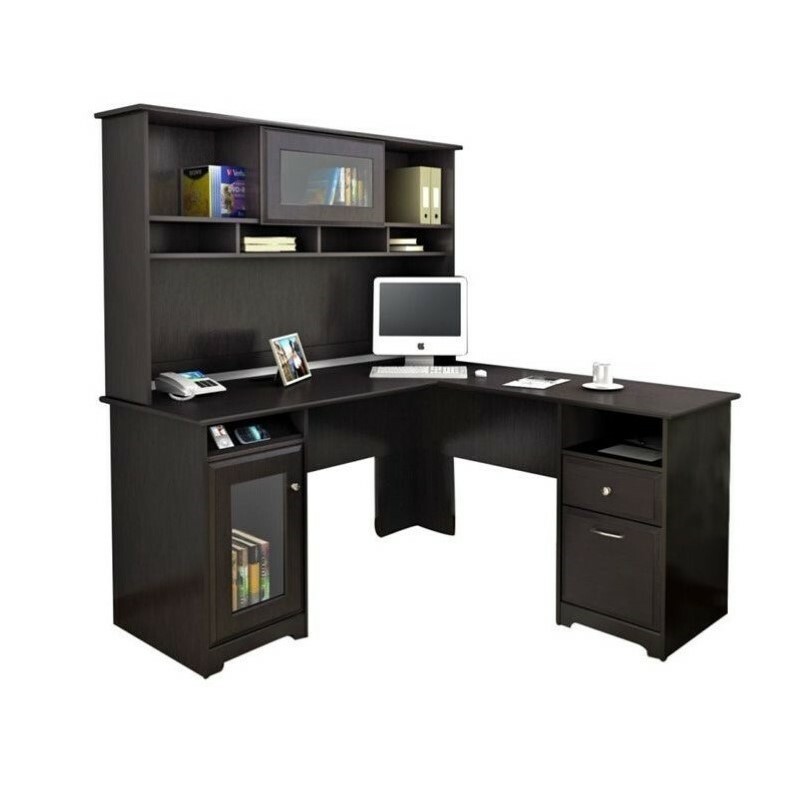 The Bush Cabot Collection 60" Hutch adds additional storage space to the Cabot Collection 60" L-Desk or the 60" Corner Desk. Available in Espresso Oak finish, the Cabot Hutch offers simple, elegant styling with contemporary touches like flip-open doors on storage space, wire management system, and open work-in-process bays to keep you organized. 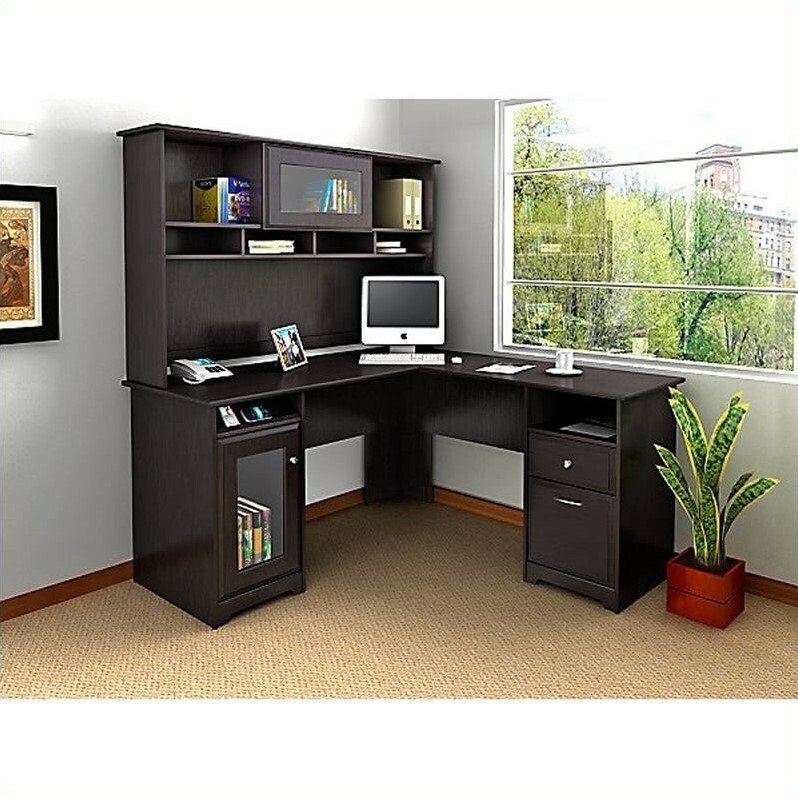 The Bush Cabot Collection 60" L-Desk is the perfect solution for people who need to stay plugged in but don't want their work space cluttered up with bundles of cables. 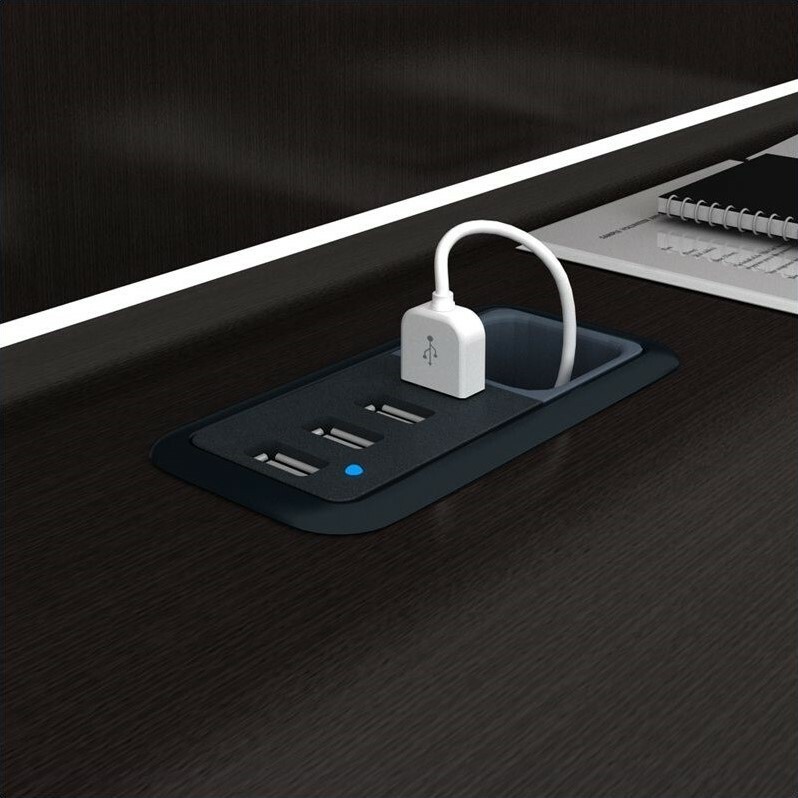 The desk features a built-in 4-port USB hub, electronic charging station, and wire management system. 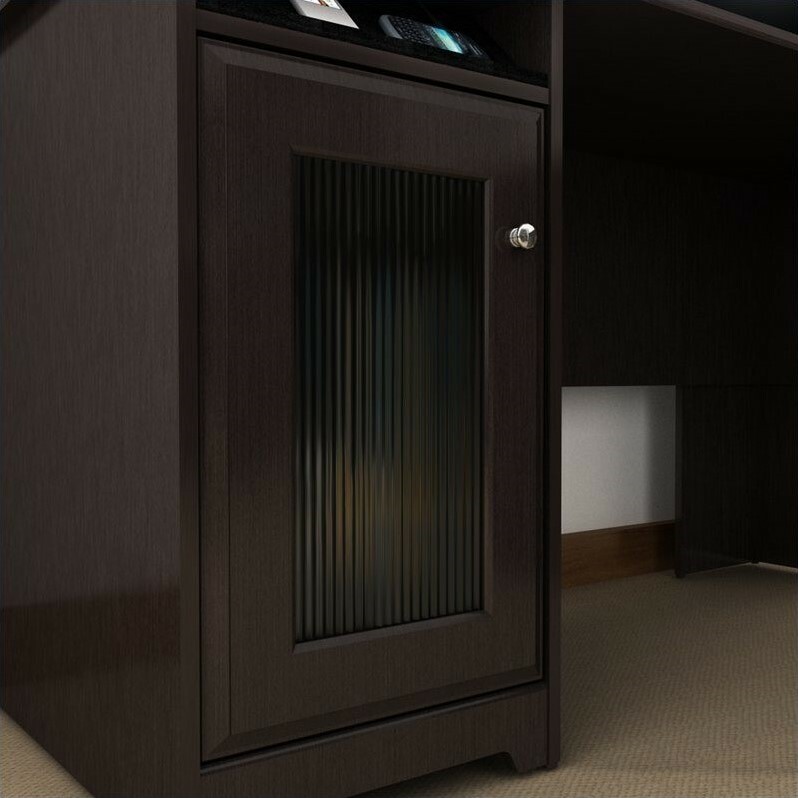 Ample storage space is available, including a box drawer, a file drawer that can handle three file sizes, open storage, and a concealed storage space behind a stylish fluted glass door. The Cabot L-Desk is available in an Espresso Oak finish that complements any other piece in the Cabot Collection. 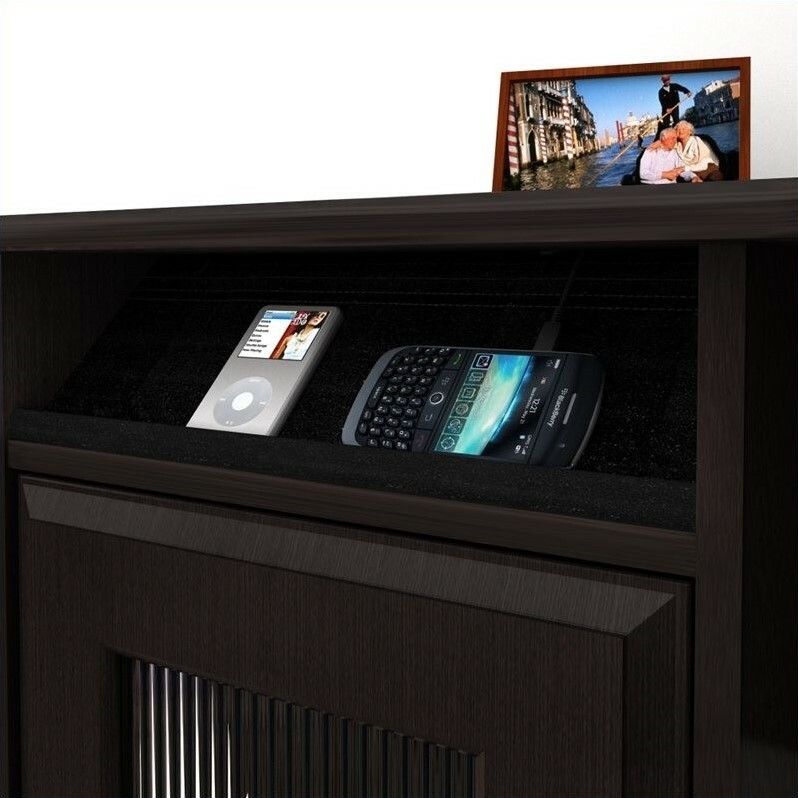 Add an optional hutch to increase vertical storage and workspace. Depth (from wall to front of desk): left side: 22", right side: 18.5"